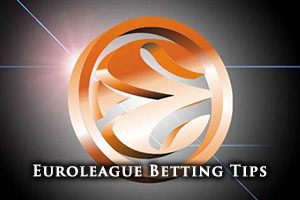 Spread Pick: Panathinaikos with handicap -2.5 at 1.90 Over/Under: Over 148.5 1.90 Bet Now! With both of these teams in the middle of the group in Group E, and all of their other Group E rivals having played on Thursday night, this is a crucial match for most of the teams with an eye on the play-offs. In fact, you can expect the fans of the other teams in Group E to be keeping an eye on this game as it doesn’t just impact on these two teams, the result could have an outcome on who makes it out of the Top 16. This is the sort of game where Euroleague betting fans get very excited because there is quite a lot riding on it. Panathinaikos know that they are on a four game winning streak against their German opponents but the Berlin side have been improving defensively, especially at home, and it isn’t going to be an easy match for the Greens from Greece. Both sides have a powerful forward and there could be plenty of bumps and bruises in this game as both teams go all out for a big win. One thing you will note about Alba Berlin is that they don’t score too many points compared to many of their rivals, the Berlin side can only boast of an average of 73.9 points per game in the Euroleague this campaign. However, they do hold a 6-9 record, which includes a 4-6 record in the regular season and a 2-3 record in the Top 16. Their key man this campaign has undoubtedly been Jamel McLean. The American forward has managed to grab an average of 13.9 points per game and an average of 5.6 rebounds per game. If Alba are going to get something from this game, it is likely that McLean will be at the heart of it. Alex Renfoe has also been in good form, offering up an average of 4.9 assists per game. Domestically, Berlin have been in great form, holding a 19-1 record, which naturally sees them sitting in 1st place. Their most recent outing at home was a 91-60 win over Bayreuth. Panathinaikos have averaged 77.0 points per game in the Euroleague and currently sit with an 8-7 record. This includes a 5-5 record in the regular season and a 3-2 record in the Top 16. There have been a couple of players in good form for the Greek side this campaign but AJ Slaughter, the US guard has been pivotal, with an average of 12.3 points per game. The Uruguayan center Esteban Batista has been in grand form, offering up an average of 6.2 rebounds per game and Dimitris Diamantidis has offered an average of 5.9 assists per game. Panathinaikos are sitting in 2nd place in their domestic league with a 12-2 record and in their most recent game; they won 66-72 away to Nea Kifisia. In what could be a tight game, taking Panathinaikos with a handicap of -2.5, at odds of 1.90 is likely to pay off. You will also find that the Over/Under market is looking good for Over 148.5 at odds of 1.90. Both of these bets are available with Bet365. Bet Now!